I have a really strong affinity for winter squash. I won’t say they are my favorite vegetable because there are too many amazing veggies out there to choose, but these, these are up there. They are so fun to grow and harvest; I dream of having acres and acres of every kind of winter squash in the book. They are super easy to cook and uber versatile. In fact, I really put them to the test this week. How you ask? Pie. 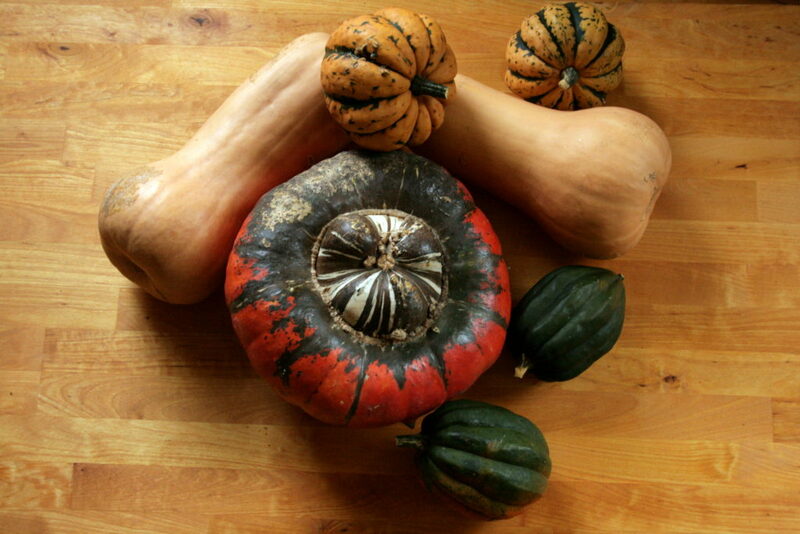 Yes, this Thanksgiving table features gluten-free Turban squash pies. 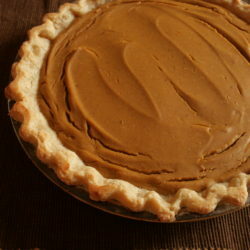 Maybe that doesn’t sound as appetizing as pumpkin pie, but it’s a lot more exciting and tastes better, too! Since we have limited growing space in the city, I almost exclusively grow Butternuts and those do make a mighty fine “pumpkin” pie, too. This year, the squash harvest suffered at the beaks of the chickens, so I bought a turban squash for the job. I hadn’t actually tried this pretty variety before. The first thing I discovered is that you’ll need to set aside your kitchen knife and just go grab a saw. No, I’m serious. The job went pretty quick with this sharp and ergonomic garden pal! My fingers were much safer that way. It’s pretty hands-off roasting a squash in the oven until it’s tender. A tad bit more work than opening a can of pumpkin meat, but not much. 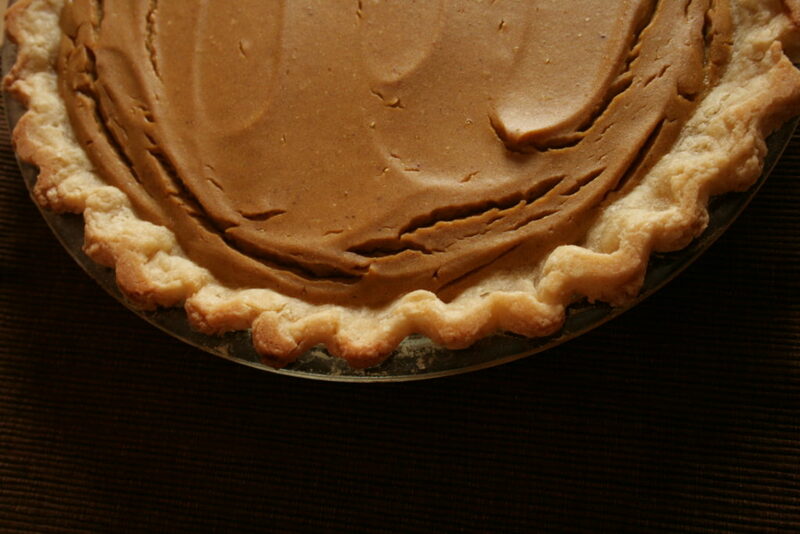 While that’s going, we whip up our pie crusts. Gluten-free Thanksgiving need not be disappointing! 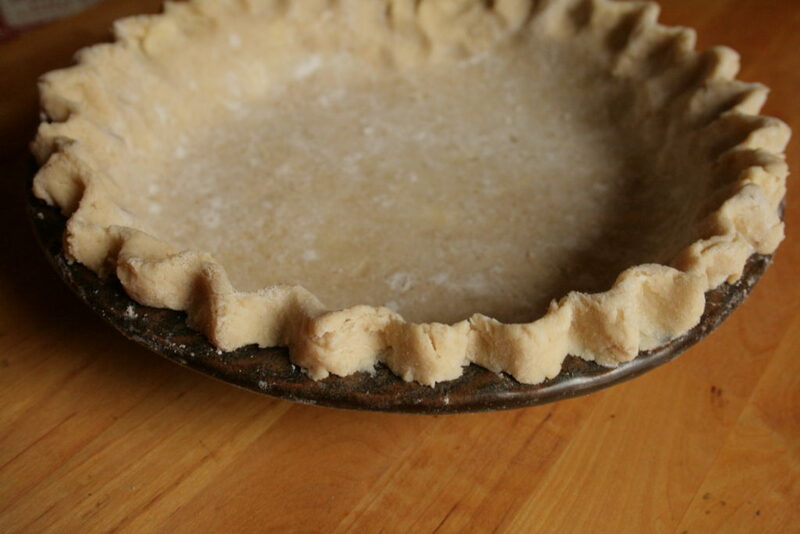 I really enjoy the meditative nature of making a pie crust from scratch and the popular paleo almond flour crust doesn’t allow you to roll out dough in that magical way. Instead, I experimented with my usual recipe and simply subbed the flour for equal parts of this gluten-free blend from Namaste. I was very pleasantly surprised by how it rolled out, held together AND was not chewy like many almond and coconut flour baked items. A gluten-free crisp, buttery crust for the win! 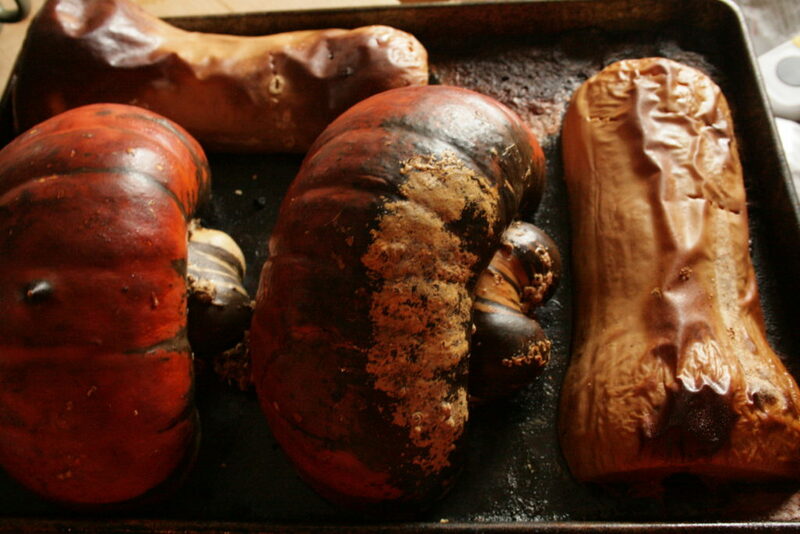 To cook your squash meat, heat your oven to 400F. Slice the squash in half and place face down on a pan. Put it in a pan with a bit of an edge on it. Once you set the pan on the oven rack, pour in enough water to cover the bottom of the pan. This helps keep the meat more moist. The length of time the squash takes to cook depends on the variety and size; periodically check. You will know it is done when a fork very easily pierces the meat of the squash. 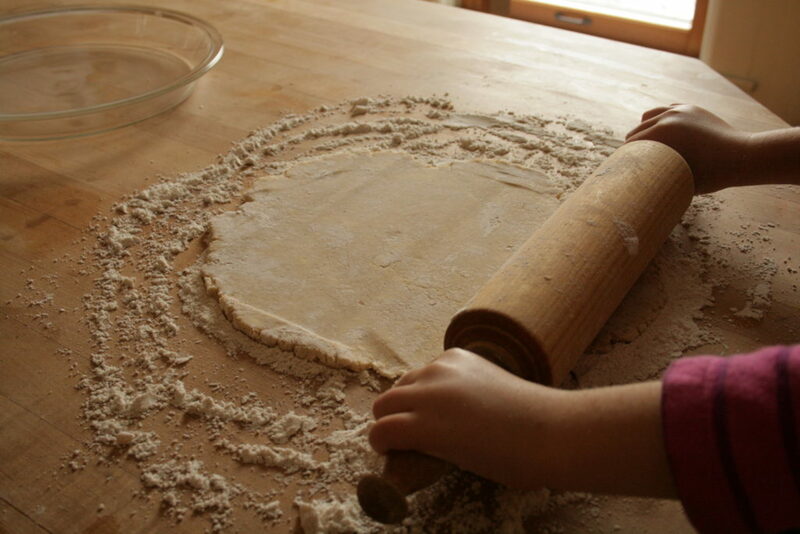 Prepare the dough if making homemade. 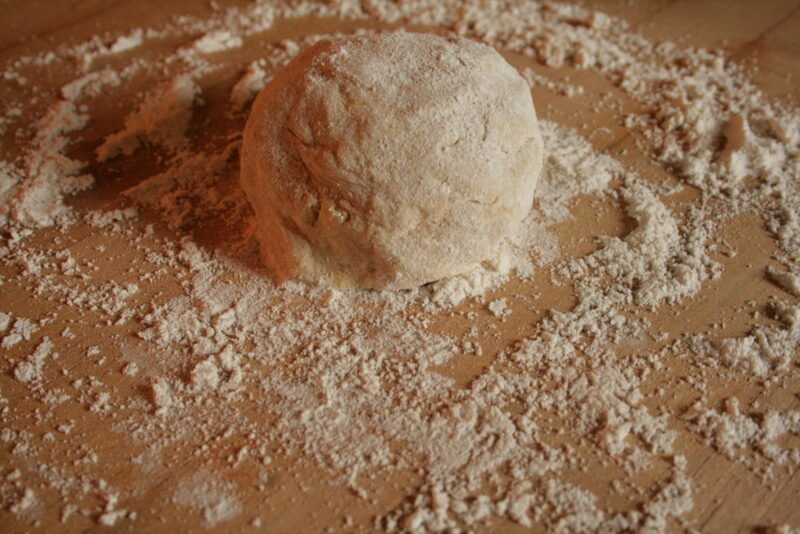 Keep ball of dough airtight in the refrigerator until it is time to roll it out. 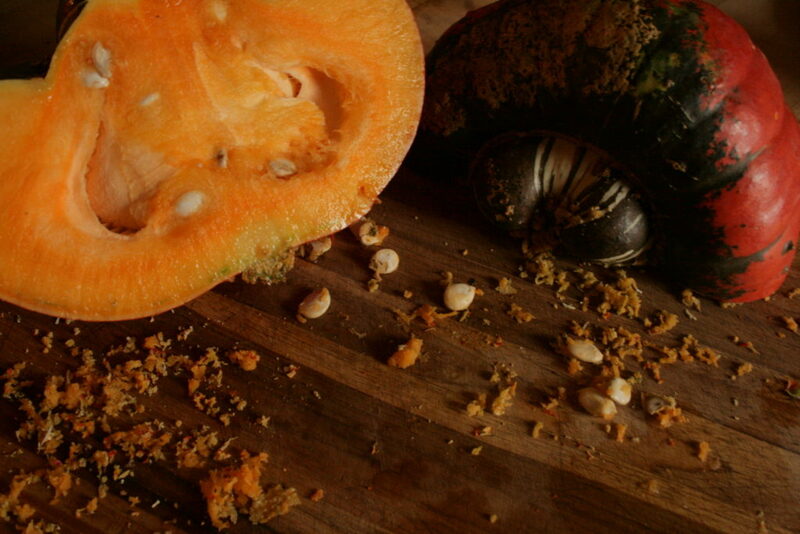 Once the squash is cooked, you can keep the oven on if you’re baking the pie right away. Remove the squash and let it cool enough to handle. Then, place all the ingredients for the filling in a blender or food processor. Whip on high until smooth. 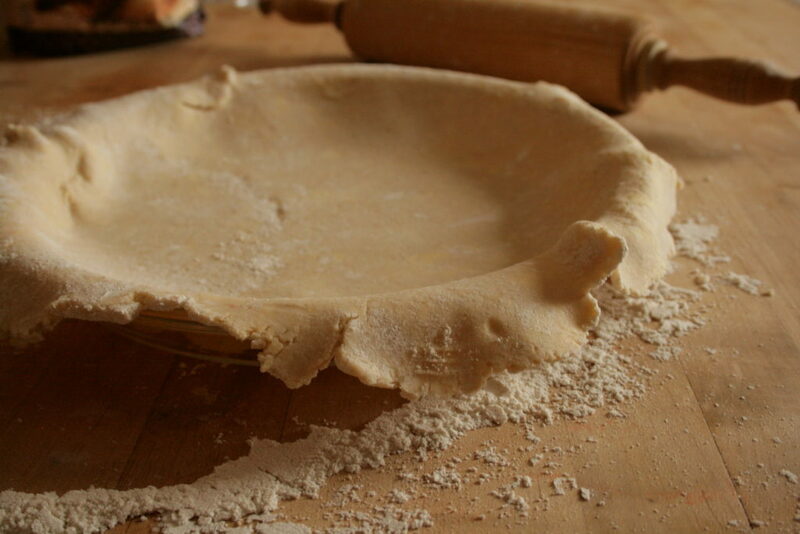 Roll out your pie crust and gently place in a pie plate. Crimp edges. Pour the pie filling into the pie shell and spread it out evenly. 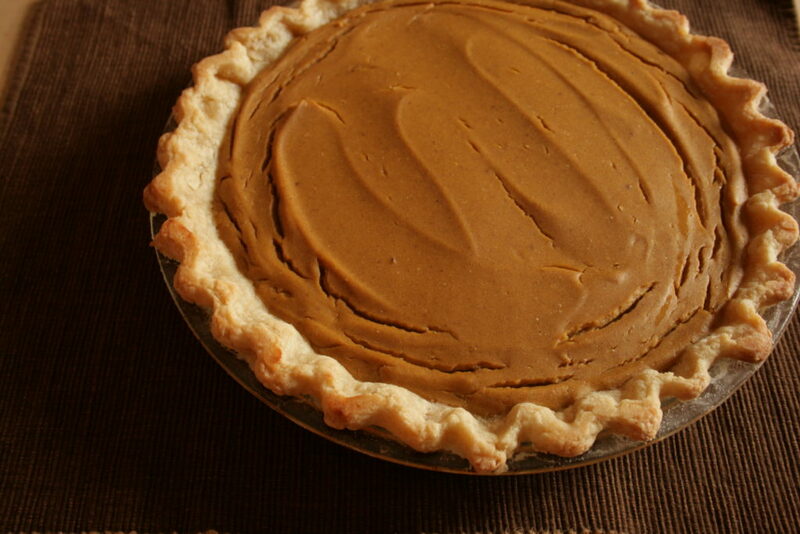 Gently cover the crust edges with aluminum foil or a reusable pie crust shield. Bake at 400F until the center does not jiggle when you give the pie plate a little shimmy. Enjoy with someone you love (though it is tempting to eat this entire thing on your own)! Thanks for the recipe! The only thing better than squash pie is parsnip pie! oh I have not tried this! Will have to do. Thanks!